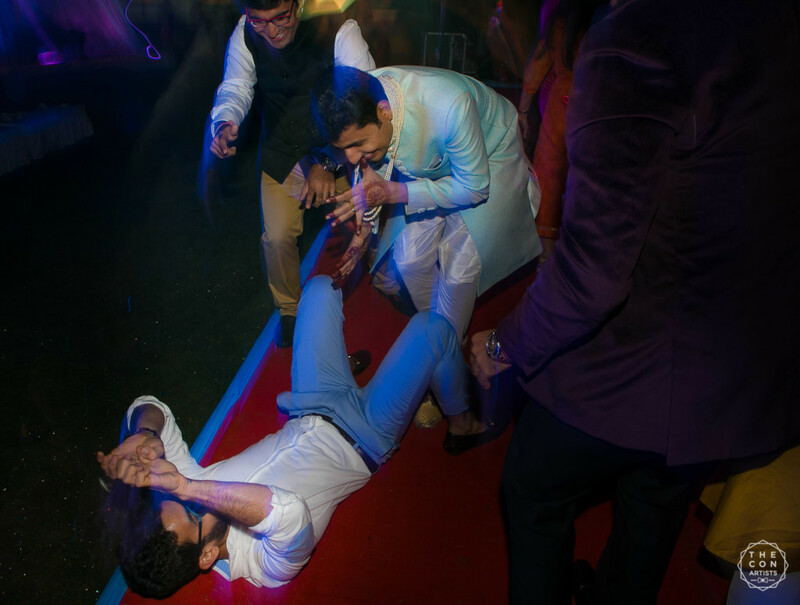 Since the ages. 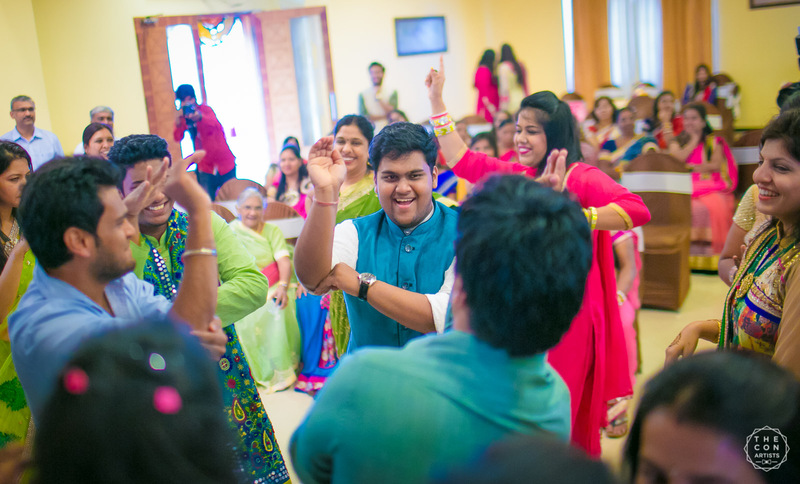 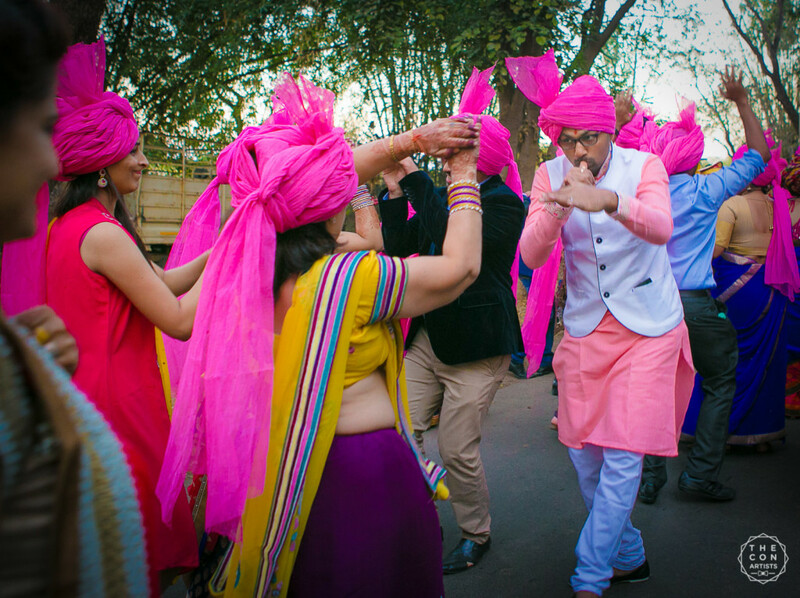 the ritual of dancing became part of Indian weddings, the one particular dance move had made it to every single occasion. 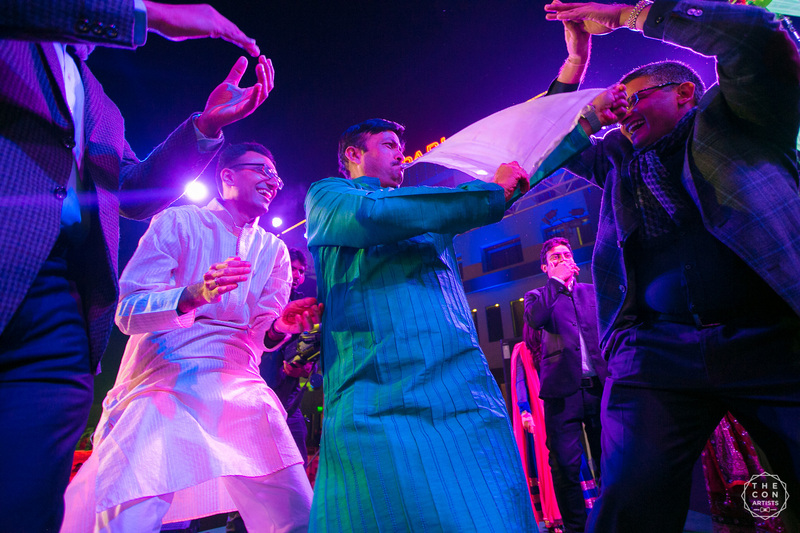 Even before the big brass bands in their bright flashy outfits started playing ‘Ye desh hain veer jawano ka’ in a loud and raucous voice with grooms’ friends having a time of their life dancing on it, this one eye-catchy move had been an integral part of every barat, every sangeet, every after party. 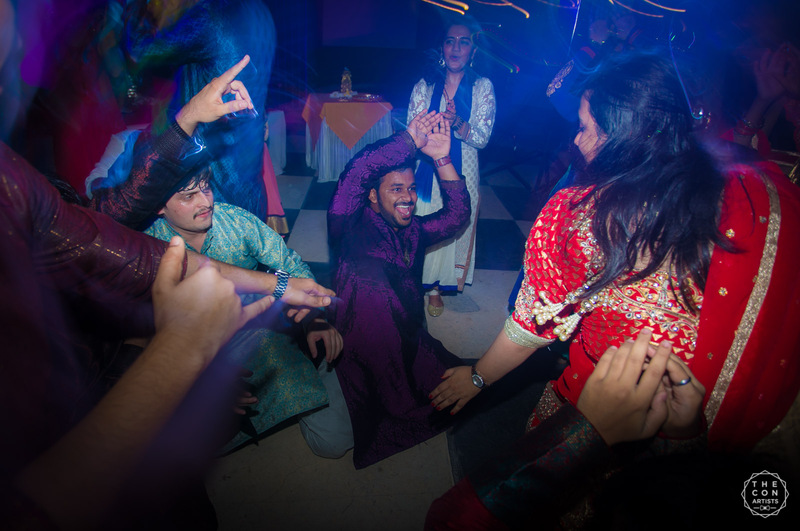 Be it a dance floor with a fancy DJ, or a dhol in the neighourhood streets, what we never fail to miss is the fabulous and famous Nagin dance. 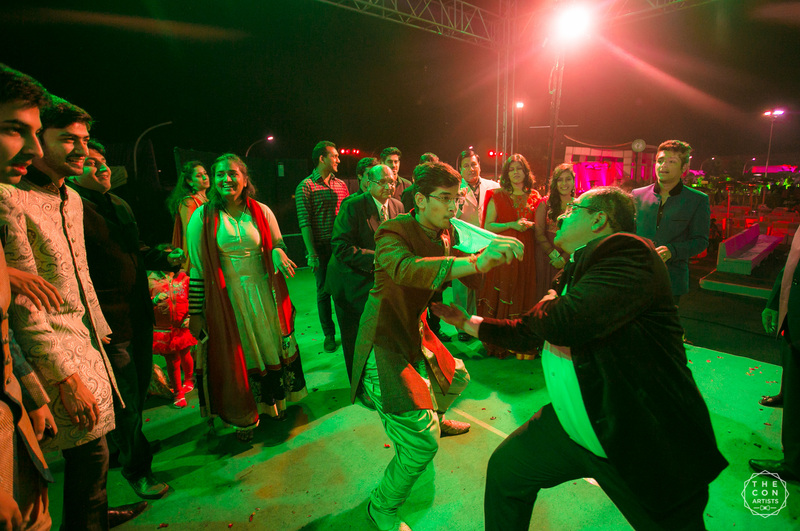 Here are some of our great fun pictures brimming with energy where we made an attempt to treasure the madness, when the celebrations were at their pinnacle, and we had the friends and family going berserk on ‘Man dole mera tan dole’.